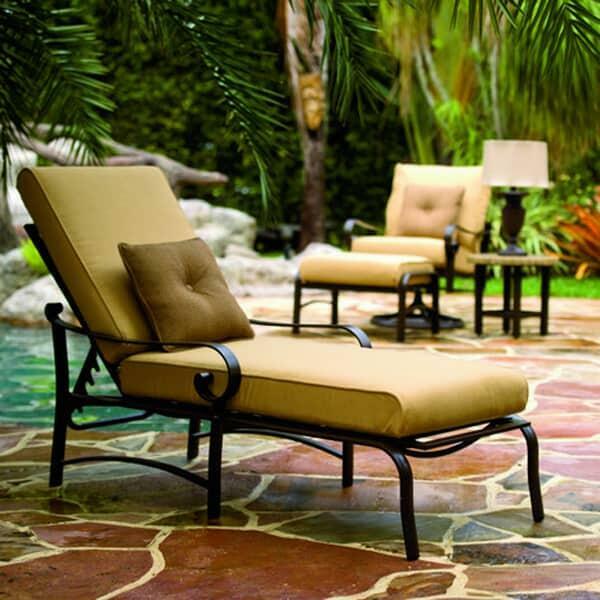 While chaise lounges are popular seating options for next to a swimming pool or lake, most choices in this type feature a sterile, modern look. Woodard shuns this style with the Belden Cushion Chaise Lounge, which mixes contemporary chaise lounge themes with traditional motifs. The appearance of this chaise features many unforgettable design elements from antique furniture, such as the hand rails that scroll like old parchments, all in modern aluminum bent and shaped into clean shapes and lines. This aluminum is lightweight when compared to wrought iron and is finished with a multi-stage powder coating that adds rust inhibitors, color and an ionized sealer that will lock out damage dirt, water and grime. 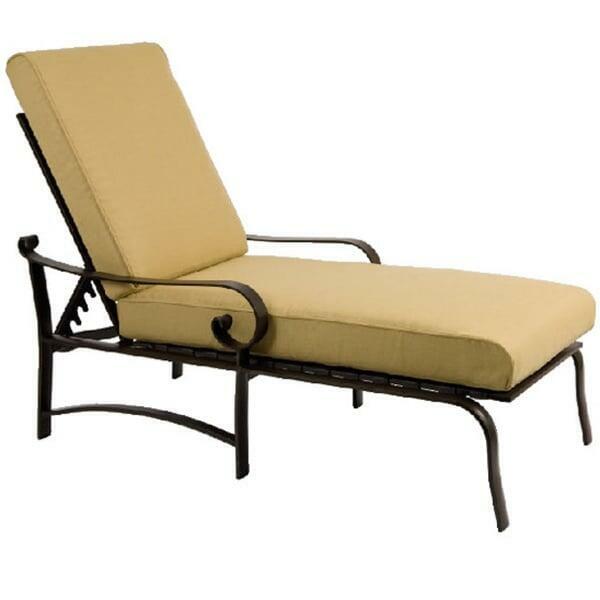 This all-weather capability makes this chaise lounge perfect for outdoor use next to the swimming pool or other body of water.